(Excerpt from Goodreads) It all started with mice in the library. Assistant librarian Jan Louch and a coworker decided that what the library needed was a cat. Or, even better, two cats. Soon, they found a pair of Scottish Folds who were perfect for the job. Jan named them Baker and Taylor, and they took up residence in the library. But these cats were much more than mousers. Visitors to the library fell in love with Baker and Taylor and their antics just as Jan had. And then, after Jan let the cats be photographed for a poster, they became feline celebrities. Children from across the country wrote them letters, fans traveled from far and wide to meet them, and they became the most famous library cats in the world. 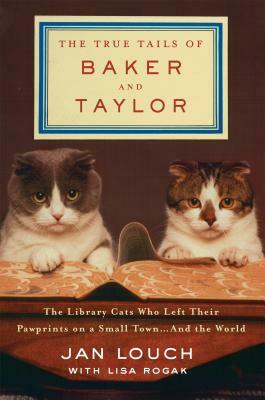 In The True Tails of Baker and Taylor, Jan Louch looks back and tells the remarkable story of these two marvelous cats and the people—readers, librarians, and cat lovers of all ages—who came together around them. This is a memoir of Jan Louch that includes the story of Baker and Taylor. Jan was a librarian at the Douglas County Library in Minden, NV. Jan is a book and cat lover from a young age and spent a lot of time with both books and animals. When she became a librarian, you could tell that it was a dream come true for her and when they needed a couple cats to keep the mouse highway down she was in heaven. I loved reading along about Jan and the different events that happened. If course you can’t help but love the stories of Baker and Taylor, especially when their vet has a chapter. I am a huge book and cat fan so I couldn’t pass up a story of two famous kitties. I am a transplant to Reno about 15 years ago and have never heard anything about the Douglas County Library. I love reading about the local history. I admit that I’m a bit young to remember Baker and Taylor from their campaigns but it was a delight reading about the truth in this story. This is the purrfect book for cat and book lovers. I also liked it for the local history of Minden, NV. This is one book that you really need to read. To purchase The True Tales of Baker and Taylor make sure to visit Amazon, Barnes and Noble, Goodreads, and Lisa Rogak’s website. 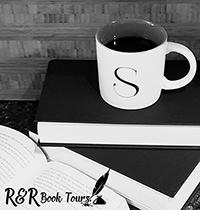 I received the True Tales of Baker and Taylor for free from the author Lisa Rogak in exchange for an honest review. (Excerpt from Goodreads) He has all kinds of everyday joy in his life — he’s young, he’s in love, he has friends who promise to stand by him if life ever goes wrong. Then one day, life does go wrong. He makes a mistake, and it’s big and unforgiveable. Now time is running out, and his life is falling apart. But he’s going to put it back together again. His own way. This is a story about how far love must stretch to gather a life in pieces — and about how a strong friendship never dies. Ivo is 40 years old and in hospice. He has diabetes but when he was younger he didn’t take care of himself. No one comes to visit him and he is clearly depressed. But a hospice nurse, Sheila challenges him with the A to Z game to keep him sharp. He is to think of a body part then a memory. Follow along as Ivo remembers good times and bad, loses, and love. This is a great story. At times it is sad as Ivo remembers the loss of his father to cancer and how others brought him sorrow. But then there are the good times, like his love of Mia. I loved Sheila, she is the perfect nurse. She knows when to draw Ivo out and when to let him thing and be quiet. Although this story is bittersweet as we see Ivo remember the different events in his life. It is a good story and one that I think many will like. To purchase The A to Z of You and Me make sure to visit Amazon, Barnes and Noble, Goodreads, and James Hannah’s website. 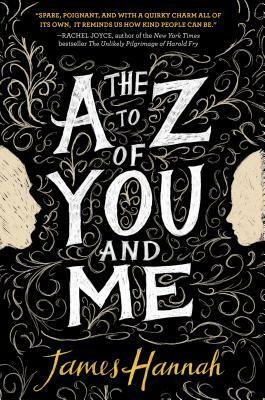 I received The A to Z of You and Me for free from the publisher in exchange for an honest review. Commander Orlando Iron Wolf is aboard the International Space Station when a blinking light on his computer console alerts him to a fast moving comet headed for a collision with planet Earth. With no way to stop the impending doomsday, the world descends into panic and anarchy. 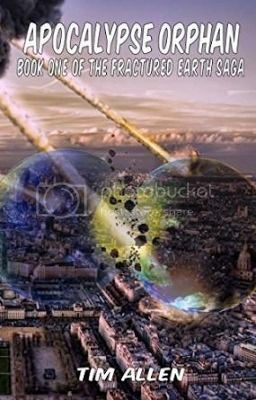 Massive transport ships are built to colonize the moon, and evacuation of a chosen few begins. After a shuttle mission to study the approaching comet goes awry, Wolf is forced into cryogenic deep sleep, and the onboard computer assumes control of the ship. Wolf awakens 50,000 years later to a wildly different earth. Endowed with incredible strength, he finds himself caught in a war between primitive tribes, and his survival depends on Syn, an advanced computer intelligence who has fallen in love with him. Will Wolf be able to help restore Earth to its past glory or is civilization doomed to fail? Tim Allen is a twenty seven year veteran Fire Captain for the City of Peoria (Illinois) Fire Department. His writing career began when he had to write a report about a fire incident and he was told to be more descriptive. In his next report, he was more descriptive and reflected about what he had seen and felt during the two minutes of hell. His superiors found no humor in this report and disciplined him. Once several other fire fighters read the report, they were intrigued with his writing and wanted to read more stories. Allen caught the writing bug. He loves writing science fiction, but currently is working on a murder mystery entitled, “Tethered.” With several novels in development, spanning everything from planetary colonization to aliens to time travel, he is also considering writing a few horror stories based on actual past events that have been well documented. Barbara Casey is the author of several award-winning novels for both adults and young adults, and numerous articles, poems, and short stories. In addition to her own writing, she is an editorial consultant and president of the Barbara Casey Agency, established in 1995, representing authors throughout the United States, Great Britain, Canada, and Japan. In 2014 Barbara became a partner in Strategic Media Books Publishing, an independent publishing house that specializes in true crime and other cutting-edge adult nonfiction. Barbara lives on a mountain in Georgia with her husband and three dogs who adopted her: Benton, a hound-mix, Fitz, a miniature dachshund, and Gert, a Jack Russel terrier of sorts. Even though Dr. Harcourt hadn’t revealed his reason for summoning Carolina, it never even occurred to her that it was anything but something her girls had done. Last month, they had wrapped Dr. Harcourt’s pristine office in aluminum foil. Everything—pens, sheets of paper, curtains, desk, rugs, telephone—was covered in silver. Even the paperclips piled in the black-veined onyx bowl, a gift from another graduating class, were each individually wrapped. Nothing had escaped. Punishment had been light, considering it was their latest “creative expression” as it was referred to around campus, in a long line of inappropriate, disruptive behavior they had subjected Dr. Harcourt to over the years, probably because he realized they would be graduating soon, leaving Wood Rose, and he wouldn’t have to be concerned with them any longer. They were ordered to unwrap everything and then confined to their dorm rooms for two weeks other than going to the cafeteria for meals, or the chapel for Sunday services, which was pretty much their usual routine anyway. The month before that, it had been the discovery of unauthorized reading material—or, more explicitly, magazines revealing male nudes—In the FIGs’ rooms. Contraband of this nature was totally unacceptable, stringently opposed to the morals and teachings at Wood Rose, and an extreme violation of the rules. For that, they had been assigned kitchen duty for two weeks–washing dishes and cleaning up the dining room after each meal. The symbolism in this punishment had not gone unnoticed by the FIGs or Carolina. There had been many other expressions of creativity over the years at the place where the FIGs called home, deeds that had been dutifully recorded in the historical archives at Wood Rose, but lately these expressions seemed to have taken on what most of the faculty and staff considered a more menacing tone of a sexual nature. When Carolina Lovel turns 18, she learns that she was taken from her gypsy mother and taken to America to be adopted when she was four. She is given a box with a letter from her mother written in code. Carolina then takes up a job working for Wood Rose Orphanage and Academy for Young Women. There she meets three girls that are bored and spend their time terrorizing the Headmaster. Carolina offers to take them to Italy where she has them help find her birth family. They also learn of the Voynich Manuscript which is written in the same code as the letter from her mother. It also puts the girls in danger since scholars have been trying to decipher the Voynich Manuscript for years. I really liked this story. Carolina and the FIGs are strong female characters. They are smart and work together well to figure out the Voynich Manuscript and keeping out of trouble. I liked how there was a romantic interest yet the story didn’t revolve around him. I loved the whole world of the gypsies and you can’t help but feel for her mother and everything she went through. I have not read any books about gypsies before like this one. It was great the immersion into the culture. This is a great story that will appeal to young adult lovers and mystery lovers alike. 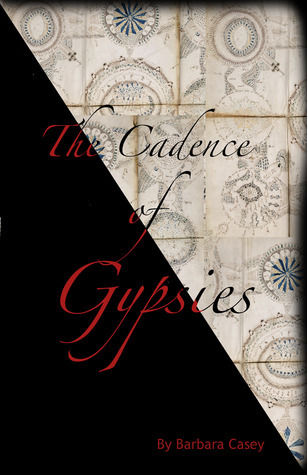 I received The Cadence of Gypsies for free from Italy Book Tours in exchange for an honest review.